It’s designed as a symmetric axis (called Than Dao) running from the Great Red Gate to the foot of the Surrounding Wall behind the King’s tomb. Apart from this gate at the center, there are 2 other gates: the Left Rad Gate and the Right Red Gate, which led to the Honour Courtyard – where two rows of mandarins, elephants and horse’s stone statues are standing. 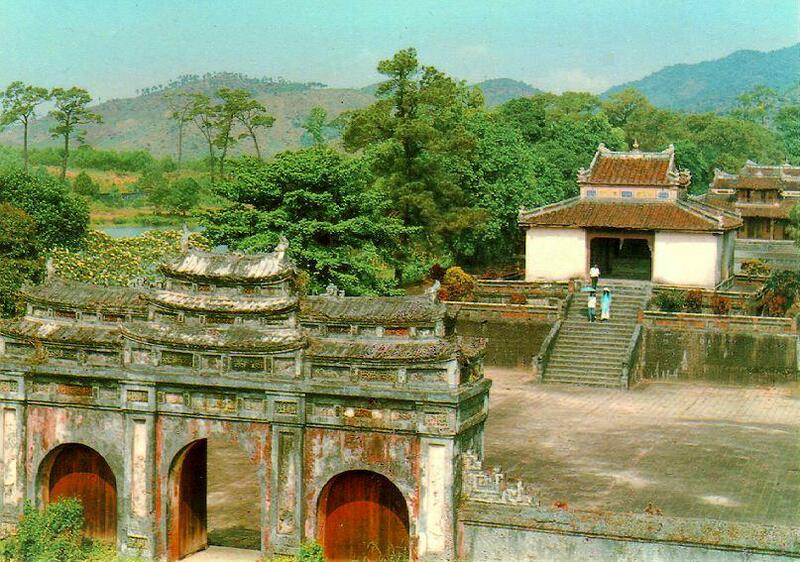 At the other side of the 3 gates, on Mount Phung Than is the square Stele Pavilion, where the stele “Thanh Duc Than Cong” inscribed with the King’s biography and merits written by his son, is placed. 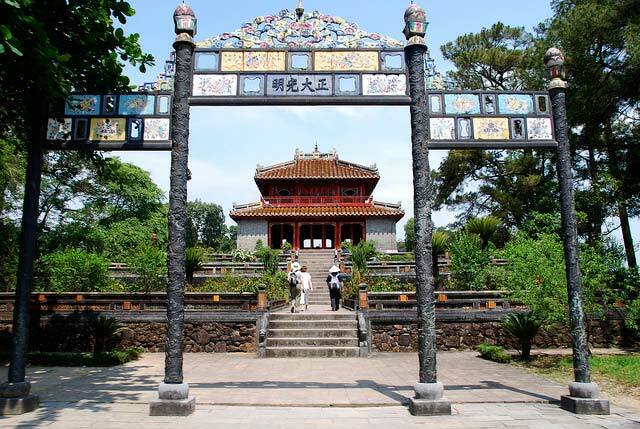 Sung An Temple, where King Minh Mang and his wife are worshipped, can be accessed through Hien Duc Gate. There are 3 stones bridges on the other side of this temple, with the marble one reserved only for the king. Finally, the Hoang Trach Gate heads to the Minh Lau Pavilion. Although travelling by car or motorbike is easy and convenient today thanks to the construction of Tuan Bridge, it’s not a bad choice to take a boat trip from Hue to visit this tomb, in addition to Thien Mu Pagoda and Hon Chen Temple. Tourists should deal with the boat-owners before going. The price ranges, depending on the number of sites and the distance, but normally it’s very reasonable.